There is no denying that desktops are the best platform for gaming. However, that statement has been less and less true as the years have passed by to the point where today most gamers will prefer the versatility and flexibility of a laptop, over the higher level of performance that can be attained by a desktop PC. Of course we are not talking here about the king of laptop that you can buy for less than $500 along with your groceries from the local supermarket. These are super gaming platforms that would actually dwarf the gaming desktops released 3 years ago. The problem is that this level of performance does not come cheap so, while we were looking for the very best performance, we were also looking at the best deals on the market for those systems. You should also consider the fact that you may not need to buy the absolute strongest configuration if the games you are usually enjoying do not need it. So, although you could make your choices bases only on the top 10 best gaming laptops list below, we strongly encourage you to scroll past the list to our in depth reviews. You may be surprised just how little you have to pay to achieve a level of performance that was impossible just a few years ago. We are going to start with what is without a doubt the most powerful gaming laptop on the market in terms of raw technical characteristics. The ASUS ROG G751JY-DH71 17.3-inch Gaming Laptop is so powerful that you would be hard pressed to find even a gaming desktop PC to match it. 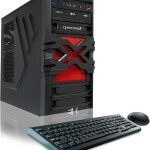 It uses the latest generation i7 processor running at 2.5 GHz and is capable of topping out at 3.5 GHz with Turbo. There are few desktop processors that can match that, and the i7-4710HQ currently used by this laptop has the advantage that it does not consume as much power as a desktop i7 processor, but can match it when needed. 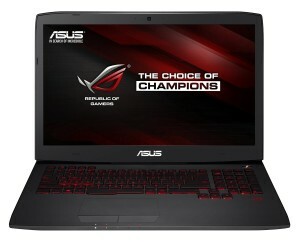 The ASUS ROG G751JY-DH71 17.3-inch Gaming Laptop also uses a nVidia GeForce GTX 940M video card with 4 GB of GDDR5 memory. Interestingly enough that huge video memory coupled with the ultra fast processor, also make this a great laptop for graphic work. You also have to appreciate the fact that the Asus uses a 256 GB SSD as its primary hard drive so the boot up time of the operating system and of the games is incredibly fast. And you also get a second 1 TB HDD for regular storage. Finally, you have 24 GB of DDR3 memory and a high definition IPS 17.3″ inches screen. Needless to say this laptop is not only a best from a technical specifications perspective but from a size and weight perspective. When it comes to the world of gaming there is just one name that really stands out from the crowd and that is Alienware. Their gaming platforms are usually the most powerful, but what really differentiates them from anyone else is the fact that they use the very best products. This is as close as you can get to custom made gaming laptops without actually buying your own manufacturing plant. The first thing that you have to consider is the fact that this is a 14″ laptop so in terms of versatility, this is a much lighter laptop that you can truly have with you anywhere you go. 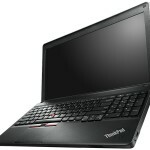 The cooling system on it is superior to any other laptop and it is rugged enough to take any kind of bashing. That means Alienware managed to cram a very powerful i7, 3rd generation processor running at 2.7 GHz but capable of reaching 3.3 GHz with Turbo, and an nVidia GeForce GT 650M video card with 1 GB of memory. Normally you will not be able to find laptop that is so small and yet that has such a powerful configuration but Alienware managed to do it. They also gave the M14X R2 8 GB of RAM memory and 750 GB HDD running at 7200 RPM. So even though this is a technically weaker configuration that the Asus, it is a more affordable solution, a lighter choice, and one that can handle and game requirements with ease. If it were up to us we would go with Alienware every time just because their systems are so well put together, but the truth is that the ASUS ROG G750JM-DS71 is in the same price range as the M14X R2 but its technical specifications are much more impressive. For one, it uses a 4th generation i7 processor running at 2.4 GHz but capable of reaching 3.4 GHz. However, the truly impressive tech spec is the fact that this processor has 12 GB of DDR3 as RAM memory. It also uses the 2 GB GeForce GTX 860M video card. Couple that with the 1 TB hard drive and you have yourself quite a nice gaming laptop. Of course, you have to make your pace with the fact that this too is a 17″ laptop so it will be quite difficult to carry it from one venue to another. 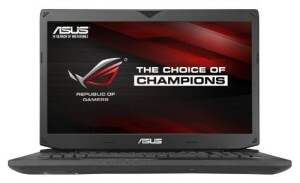 The MSI GE70 Apache Pro-012 gaming laptop has the exact same technical specifications as the Asus that we have just talked about and it is the same price range. 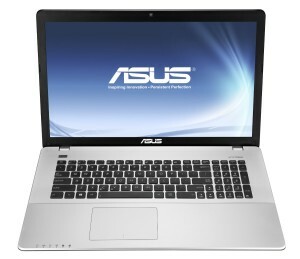 However, it has earned a 4.4 star rating on Amazon whereas the Asus only managed a 4.2. It may be just because people tend to expect less from MSI so more people were pleasantly surprised by this laptop. 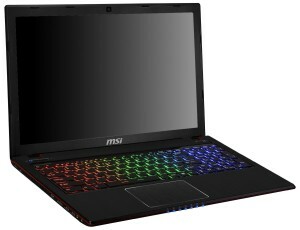 Or, it may be that the MSI is a bit flashier, it is a bit lighter, slicker and its keyboard lights up in 3 different color profiles that you can change with the push of a button. 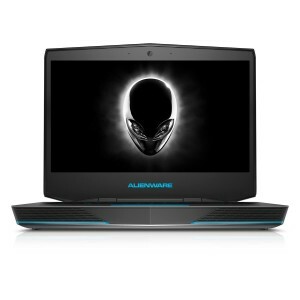 If you need to go even lower in your price range, we actually have good news for you because the Alienware 14 ALW14-1250sLV 14-Inch Gaming Laptop has an excellent price for this brand and category. It uses a 4th generation i5 processor running at 2.5 GHz but capable of reaching 3.1. By default the laptop comes with 8 GB of ram, but unfortunately you can only upgrade that to only 16 GB of RAM memory because the i5 processor can’t make use of any more than that. To complete the setup you have a 1 GB nVidia GeForce GT 750M and a 750 GB hard drive. In case you were wondering, we would actually take the Asus over this Alienware but just marginally, and in some circles you would have more “street credit” showing up with the Alienware than with the Asus. As we move to into the second half our list we are going to start looking at some gaming configurations that might be fit for an office environment as well. The ASUS ROG GL551JM-DH71 is a 15″ laptop that could sit nicely on an office desk and nobody would know that it has the power of a lion caged inside. It has the powerful Intel Core i7-4710HQ 2.5GHz 4th generation laptop, and the nVidia GeForce GTX 860M video card with 2 GB of DDR5. Add to that 16 GB of RAM and you will have a system that would be difficult to match in any gaming room. It is actually cheaper than any other laptop we have talked so far and it has earned an impressive 4.4 star rating on Amazon. 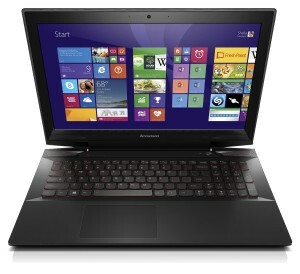 If you need to lower your price range even more we have a new and upcoming brand, Lenovo, and their Y50 laptops. This particular model is quite affordable because it comes with an i5 processor, the 4th generation i5-4200H. It runs at 2.8 GHz and is a perfect match for the nVidia GeForce GTX 860M and its 2GB of RAM memory. Together they have the advantage for running on very low power so this would be the perfect laptop to use if you know that you are going to rely heavily on the battery power. It also has 8 GB of DDR3 RAM memory and a 1 terabyte hard drive, but do not kid yourself thinking that it is a match for the Alienware we have talked before with similar technical specifications. We were not sure whether to introduce the ASUS ROG GL551JM-EH71 on our top 10 best gaming laptops list because it is a bit on the expensive side. 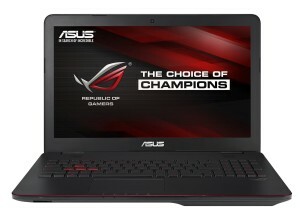 It is actually the same laptop as the ASUS ROG GL551JM-DH71 we featured on the number 6 spot but it costs about 1000 dollars more and its only upgrade is a 250 GB SSD that costs less than 100 bucks. Of course, it may prove a bit difficult to install an SSD on your own and not lose the warranty, but then again you are paying an awful lot for this one single feature. If you must an SSD hard drive, you may as well pay about 200 bucks less than the above Asus and you can have an i7-4700HQ 4th generation processor and a 2 GB nVidia GTX-860M video card with the Lenovo Y50 i7-4700HQ. It only has an 8 GB SSD hard drive but that should be more than enough to use for your operating system. And then you also have a 1 TB hard drive where you can store your games, music, movies and anything else you might want. It also has a 15″ monitor so it doubles quite nicely as a work laptop. The last laptop on our list is also the last laptop you should contemplate as your best choice or a gaming laptop. It does have that 4th generation i7 4700HQ processor running at 2.4 GHz, 8 GB of RAM memory and a 1 TB hard drive, but it does not have a dedicated video card. Instead, it has a Intel GMA HD video card that can go as high as 2 GB of shared RAM memory. It may not be the most powerful gaming system, but it certainly is the cheapest, and it did earn a 3.7 star rating on Amazon.